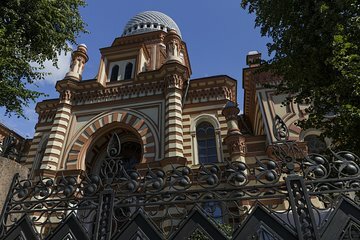 Discover the Jewish heritage of St. Petersburg at a more relaxed pace than you would on a day trip during a 2-day tour with a guide that’s closely connected to the Jewish community. You’ll receive personalized attention in a small-group limited to 10 and enjoy the use of headsets so that you can hear your guide clearly at all times. Plus, daily hotel pickup and drop-off, and all admission tickets are included. Please note that accommodation is not included.